Are you looking for a cool portable projector? This is ZenBeam Go E1Z, a handheld video projector capable of projecting diagonal images up to 120 inches and usable with a wide range of devices, whether portable or portable, Android or Windows. 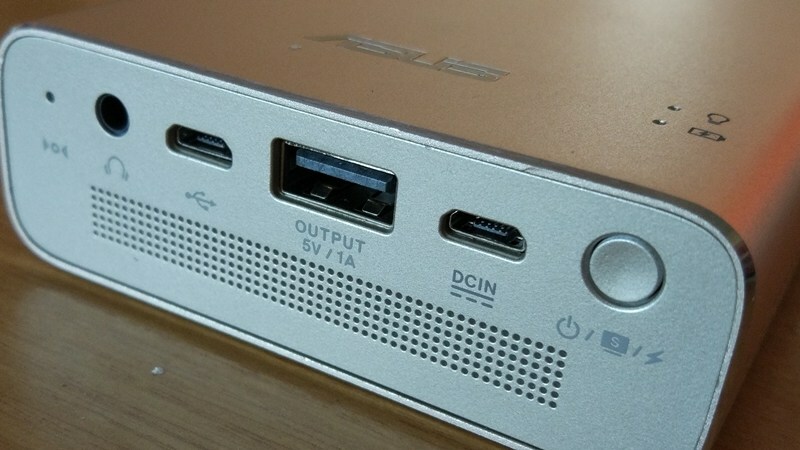 It uses microUSB as a input connection port. 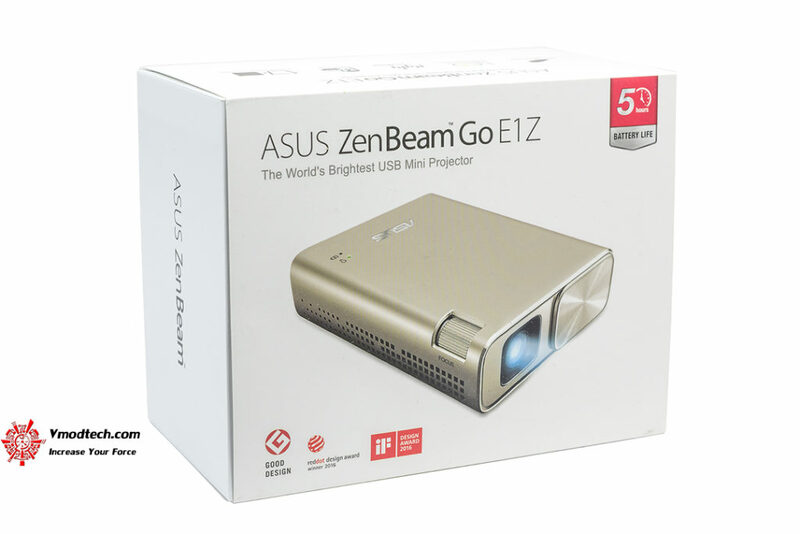 ASUS ZenBeam Go E1Z is currently the world’s brightest projector in its category. It contains a 6400mAh battery that can guarantee few hours of projection and can also be used as a power bank to charge other portable devices. According to user reviews, it will last around 3 hours per charge. ASUS ZenBeam Go E1Z has a weight of 307 grams and dimensions of 110 x 83 x 29 mm. Its design was rewarded by iF Design, Red Dot Design and Good Design. The unibody case is made of aluminum alloy while the lens cover has a satin finish. The Eco-LED lamp has a 150 lumens with an estimated lifespan of around 30,000 hours. It covers a 100% NTSC color range and uses IntelliBright DLP technology to enhance and optimize brightness and contrast levels up to 30%, thus reducing the energy consumption. Switching on and off the projector happens instantaneous. The automatic correction function of trapezoidal distortion detects the projector’s orientation with respect to the projection surface and corrects the image. The native resolution is WVGA (854 x 480) but it also supports the full HD (1080p) format. The 1.4:1 aspect ratio lets you project close-up images with a minimum diagonal of 15 inches. The 2W integrated speaker also incorporates ASUS SonicMaster technology for better audio quality so there’s no need for additional speakers. ASUS ZenBeam Go E1Z is available at a price around $350. 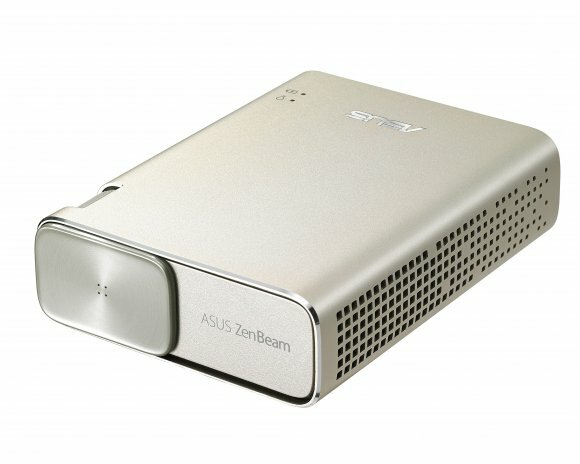 Check ASUS ZenBeam E1 Pocket LED Projector on Amazon.